In this thread we present fresh Forex news. Our news contain exhaustive information about topical events and facts of the financial world; we offer international statistical data in order to help you correct and enhance your trading strategy. We also present video news from InstaForex-TV portal. InstaForex-TV channel provides the latest information about fluctuations of currency rates and forecasts their influence on the future movement of currencies. Our news will be especially useful if you prefer intraday trading and use fundamental analysis. 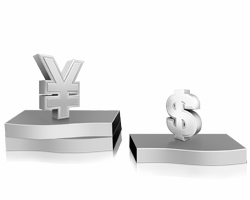 USD/JPY is currently trading around 109.10 marks. 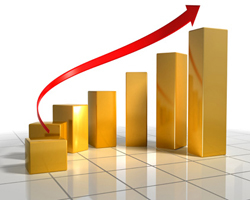 It made intraday high at 109.36 and low at 109.04 levels. A daily close above 109.32 will drag the parity up towards 111.23, 112.60 and 113.42 levels respectively. Alternatively, reversal from key resistance will drag the parity down towards key supports at 108.27, 106.15, 105.71, 105.45 and 104.55 levels respectively. Japan will release leading indicator data at 0500 GMT. Market anticipates reading around 96.4 vs 96.8 previous release. Japan's Topix index erased its early ascension as the Japanese yen fortified after recording losses for two straight days. Against the US dollar, the yen traded at ¥108.66, up 0.6%. The Topix index closed at 1,332.42,m down 0.2%, while the Nikkei 225 Stock Average settled at 16,575.65. Machinery shares advanced but consumer finance and drugmakers spearheaded declines. Around 180 entities listed on the Topix are scheduled to report their earnings Wednesday, while 700 others will post results Thursday and Friday. Mitsubishi Estate Co. and Toyota Motor Corp. post earnings today. USD/KRW is currently trading around 1164 levels. Intraday bias remains neutral till the time pair holds key support at 1162 marks. Pair is trading in tight range from 1162 to 1172 marks. A break of either side will provide further direction to the parity. A daily close above 1172 will drag the parity up towards key resistances at 1176/1180/1193 (20, 30 and 55D EMA crossover)/1211 marks. A sustained close below 1162 will test key supports at 1153 (November 2015 low) /1142 (20D EMA)/ 1134/1127 (October 2015 low) /1121/1115 levels respectively. Seeking to topple corruption worldwide, Prime Minister David Cameron announced foreign entities with properties in the United Kingdom are mandated to publicly declare their assets, saying they need to be on a new register. The British premier made the announcement as world leaders are heading to a the Lancaster House summit in London aimed at bolstering measures to eradicate money laundering. Cameron is hosting the gathering. No list of participants has been released. But Afghan President Ashraf Ghani and US State Secretary John Kerry are awaited to join the convention. Also, the details of the event are not yet published. However, organizers disclosed the event will find ways to unmask corruption. AUD/NZD is trading around 1.0726 marks. Pair made intraday high at 1.0743 and low at 1.0717 marks. 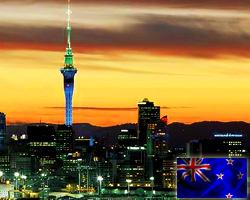 Today New Zealand released retail sales data with negative numbers at 0.8% q/q vs 1.1% q/q previous release. In addition, core retail sales falls to 1.0% q/q vs 1.1% q/q previous release. Intraday bias remains neutral for the moment. A daily close below 1.0725 will take the parity down towards 1.0670 (February 26, 2016 low) and 1.0574 (February 12, 2016 low) marks. On the other side, reversal from key support will drag the parity higher towards 1.0886, 1.0976 (January 2016 high) /1.1062 (30D EMA)/1.1123/1.1298/1.1317 (March 23, 2016 high) levels respectively. We prefer to take short position in AUD/NZD only below 1.0725, stop loss 1.0823 and target 1.0651/1.0574 marks. New Brazilian President Michel Temer vowed to protect probes into state oil company Petrobras corruption scandal from any political intervention. In his first address as the country's new leader, Temer also pledged to curb increasing budget deficit and retain social welfare spending for the poor by scaling down government jobs. Temer said Lava Jato must continue and safeguard its integrity by thwarting any attempts to weaken the probe. Lava Jato is a Portuguese term for the ongoing investigation, which means Car Wash. The PMDB party is greatly implicated in the scandal encompassing the state-owned firm, with some of its significant party officials and Temer's allies accused of receiving bribes. ASX200 pares early losses made today and slightly jumped till 5372 at the time of writing. It is currently trading at 5368. Short term trend is slightly bullish as long as support 5300 holds. On the higher side any break above 5380 will take the index to 5430/5500/5525. The major intraday support is around 5300 and any break below major support targets 5250/5200. Japanese Prime Minister Shinzo Abe said most Group of Seven heads recognized the necessity to implement fiscal stimulus steps in order to bolster global demand. The Asian country will host the convention of central bankers and finance ministers on May 20-21. Some have expressed their inhibitions regarding the progress made by policymakers in shaping the global economy in the wake of economic slowdown and low inflation. The Japanese premier earlier met G7 leaders ahead of the scheduled summit, which comes at a vital period for his country as inflationary pressure is losing its traction and the economy is experiencing difficulty. USD/KRW is currently trading around 1172 levels. It made intraday high at 1175 and low at 1172 levels. Intraday bias remains bearish till the time pair holds key resistance at 1180 marks. A daily close above 1178 will drag the parity up towards key resistances at 1182/1193 (20, 30 and 55D EMA crossover)/1211 marks. A sustained close below 1172 will test key supports at 1162, 1153 (November 2015 low) /1142 (20D EMA)/ 1134/1127 (October 2015 low) /1121/1115 levels respectively. We prefer to take short position in USD/KRW only below 1172, stop loss 1182 and target 1153 marks. Amid division, Libyan officials agreed to enable petroleum to be transported between the western pact and pact group of the nation. But they are slated to deliberate on how to conclude the crisis which has been halting exports. The factions, which oversee the Libyan east, will permit oil to be delivered to refineries in the west, taking the first step towards settling a dispute between both groups. Following the United Nations stopped the east from exporting crude, the group has been halting all shipments in the Marsa al-Hariga port. The blockade will remain until the two sides have struck more deals to resolve the issue. Weak growth in emerging markets, driven by low commodity prices and weak export demand, will continue to act as a drag on the global economy this year, says Moody's Investors Service. Moody's has lowered its 2016 growth forecasts for Argentina, Brazil, Mexico and Turkey, as the effects of the weaker external demand and lower commodity prices have compounded domestic structural and political challenges. Moody's currently forecasts G20 emerging markets growth at 4.2% for 2016 compared to 4.4% in 2015. For G20 advanced markets growth is predicted to slide to 1.7% for 2016 from 1.9% in 2015. "The global recovery has weakened further and the outlook across countries remains uneven and largely weaker than over the past two decades," said Elena Duggar, an Associate Managing Director at Moody's. "Global trade remains subdued, while spillovers from emerging markets shocks to financial markets globally have increased substantially." Moody's has lowered its growth projection for the US to 2.0% from 2.3% for 2016, to reflect weakness in the first quarter, followed by 2.3% growth in 2017. The strong recent pick-up in consumer confidence and spending, and the continued strength of the services industry underlines the resilience of the US economy. 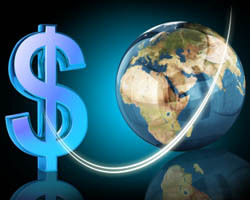 "Consumption should pick up through the remainder of the year as the labor market continues to improve and wages rise," said Madhavi Bokil, a Vice President and Senior Analyst at Moody's "Nonetheless, the drag on the US economy exerted by the combination of subdued global demand and weak business investment is likely to remain." Moody's expects that the Federal Reserve will raise its benchmark interest rate at most twice this year. Policy makers will raise rates gradually, giving investors ample forward guidance as they seek to minimize the negative impact that higher borrowing costs will have on growth and the potential disruption they could cause to global capital markets. A more pronounced slowdown in China's economy than anticipated is currently one of the biggest risks to the global economy. Slower growth in China, the world's second-biggest economy, could have a significant knock-on effect on global growth by increasing risk aversion, ramping up financial market stress, and souring sentiment. China's economy will slow gradually from 6.9% in 2015 to around 6.3% in 2016, guided by policies intended to bolster growth, according to the report "Global Macro Outlook 2016-17: Further Weakness in Emerging Markets Amid Persistent Downside Risks." "The fears of a Chinese hard landing have eased in recent months with first quarter data suggesting that the economy is stabilizing," added Bokil. "However, the government's focus on achieving specific growth targets, could come at a cost to the quality of growth." China's growth continues to be supported by increased borrowing, which ultimately will increase longer-term risks, particularly within the banking system. Japanese March core machinery orders jumped 5.5% from the last month, data from the Cabinet Office showed, but companies see a fall in investment in April-June. A survey conducted by the Cabinet Office showed that companies predict that core orders would decline by 3.5% in the April-June quarter. Core orders rose 6.7% in Jan-March from the last three months. USD/JPY is currently trading around 110.05 marks. It made intraday high at 110.07 and low at 109.84 levels. A daily close above 110.38 is required to take the parity higher towards key resistances around 111.23, 112.60 and 113.42 levels respectively. Alternatively, a sustained break below 109.69 will drag the parity down towards key support area at 108.27, 107.94, 106.15, 105.71, 105.45 and 104.55 levels respectively. Today G7 meetings are attended by finance ministers and central bankers from 7 industrialized nations - Canada, Italy, France, Germany, Japan, the UK, and the US. A formal statement covering policy shifts and meeting objectives is usually released after the meetings have concluded. Car-sharing service Maven of General Motors will also be offered in Boston, Washington D.C., and Chicago, the company said. The service was launched 4 months ago, and has already started offering 30 vehicles at over 15 sites in Chicago for $8 per hour, including gas and insurance, the GM said. The automaker launched the app-based service in January with small fleets in Ann Arbor, Michigan and in Chicago, New York, Frankfurt and Berlin. Moody's Investors Service says that the outlook for Thailand's banking system is stable over the next 12-18 months, and reflects primarily the banks' strong loss absorption buffers. "The banks' high provisions and strong capitalization levels--against the backdrop of the slow credit growth environment--will allow them to maintain their credit profiles over the next 12-18 months," says Alka Anbarasu, a Moody's Vice President and Senior Analyst. "However, weak economic growth will remain the system's key operating challenge," adds Anbarasu. Moody's conclusions were contained in its just-released report on Thai banks, entitled, "Strong Loss Buffers and Steady Profits Support Stable Outlook," and is authored by Anbarasu. The stable outlook is based on Moody's assessment of five drivers: Operating Environment (stable); Asset Quality and Capital (deteriorating); Funding and Liquidity (stable); Profitability and Efficiency (stable); and Systemic Support (stable). Moody's baseline scenario assumes that real GDP growth in Thailand will average 2.8% in 2016 and 3.0% in 2017; a subdued pace, given the country's growth potential. Sluggish exports will prove a key driver of the modest growth rate. Moody's report points out that while stimulus measures from the government could provide some countercyclical support, they will do little to address the key domestic challenges that weigh on private demand, including high household leverage, continuing political uncertainty, and the lack of structural improvements for the country's export-oriented manufacturing infrastructure. On the issue of asset quality, Moody's says that the banks will demonstrate a moderately deteriorating asset quality--led by small- and medium-size enterprises (SMEs) and the retail segment--because such borrowers will face the greatest repayment challenges in the weak operating environment. During 2015, some banks saw a jump in their credit costs, owing to the default of a leading steel producer, Sahaviriya Steel Industries Public Company Limited (unrated). Despite the one-off event, Moody's says that over the next 12-18 months, overall corporate loan quality will be stable, supported by the their strong overall debt servicing capacity. In addition, credit costs will remain elevated, as the banks try to shore up their countercyclical buffers amid a more challenging operating environment. Moody's report also says that the banks will see further pressure on their loan incomes from weak demand for credit. Nevertheless, their increasing success in developing non-loan income will help sustain their profits at levels sufficient to meet potential credit costs and maintain their capitalization levels. Another contributor to the banks' resilience is their strong loss absorption buffers, which rank in line with many of its nine peers in the Association of South East Asian Nations. The report points out that Moody's stress test shows the resilience of the Thai banking system. Under a stress scenario--which assumes a jump in non-performing loan ratios to 14% and an increase in credit costs to 4% of loans from the current 1%--Moody's-rated banks would see a drop in their average Tier 1 capital ratio to a passable 9.2% from 12.8% in 2015. As for funding and liquidity, Moody's says such conditions should remain stable in the current slow loan growth environment. Moody's expects that the banks will maintain their loan-to-deposit ratios below 100% over the next 12-18 months. Moody's rates a total of 12 banks in Thailand: nine commercial banks and three policy banks. The nine commercial banks represented 84% of commercial banking system assets at end-2015. Moody's has maintained a stable outlook on the Thai banking system since 2010. Sri Lanka's benchmark lending rates were unchanged for the third month in a row with the central bank's optimistic view on the economy despite the alarming pace of the country's inflation rate. The standing lending facility rate still stood at 8 percent while the standing deposit facility rate is at 6.5 percent. Its core inflation, which is based on the Colombo Consumers Price Index (CCPI) rose to 1.3 percent in April from 1.1 percent in the previous month. April's annual headline inflation climbed by 1.1 percent to 3.1 percent from 2.0 percent in March. The Monetary Board estimates that inflation will linger in mid-single digit levels. The island country's economy is seen to grow by 5.8 percent this year from 4.8 percent in 2015 and may even spur to 7 percent in the medium term. The central bank of Sri Lanka recently secured a $1.5 billion extended fund facility loan from the International Monetary Fund. Apart from this, the central bank is also relying on the recent tax increase and more credit facilities on the way to shield the economy from market shocks. The US House of Representatives rejected a legislation mandating cell phone providers to share a phone's location with authorities in case of emergency. With 229-158, the Kelsey Smith Act failed to strike lawmakers, falling to attain the two-thirds majority necessary to hasten the passage of the bill. Civil liberties groups have strongly opposed the measure, stipulating it would result in a loophole and broadened sovereign surveillance. R Street reiterated phone carriers already have power to disclose phone location details in emergency instances. The legislation, drafted by Kansas Representative Kevin Yoder is named after Kelsey Smith who was suddenly missing as she went to a local Target branch in 2007. Her dead body was found four days later following Verizon disclosed her phone's location data with law enforcers.